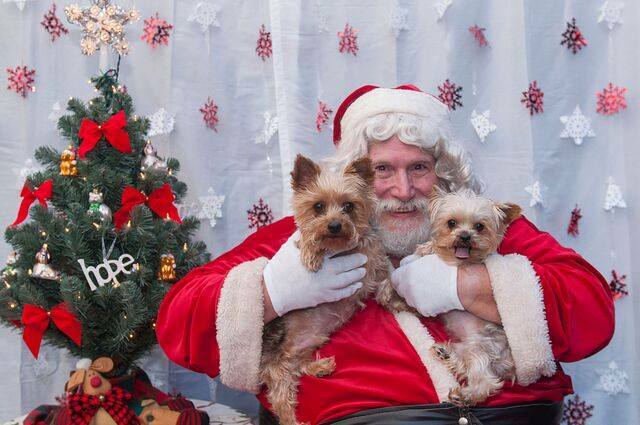 In celebration of the holidays and our four-legged friends, Jake’s Place at Rockledge Garden Center will host pet & family photos with Santa noon to 3 p.m. Sat., Nov. 8. For a $10 donation, you can have your pet’s and family’s photograph taken. Refreshments will be available and goody bags available to all participating pups. Custom made rescue t-shirts will also be available and made on the spot. You can also help by donating items on our fosters’ wish lists: dog food / treats, toys, beds, martingale collars, leashes, pet beds, wire crates, cat carriers, litter, litter boxes, towels, blankets, wee wee pads, dog coats and kongs. Monies collected at the event will be donated to “A Pathway to Hope,” a volunteer, foster-based rescue in Passaic County. Jake’s Place is at Rockledge Garden Center, 1621 Hamburg Tnpke., Wayne.